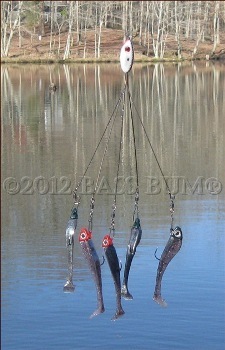 The Tackle, Lures, Techniques and Rigs An Angler Uses When Fishing for Bass to Get the Payoff, Bass Catching! No doubt hooking up a feisty largemouth or smallmouth is an adrenaline pumping experience. If you land it, well, that's CATCHING. It is certainly the payoff but the fishing part is the "getting there" and that's the other half of the fun. "That's Why They Call It Bass Fishing, Not Bass Catching!" Now admit it folks, half the fun, more really, is found in messing with all the wonderful freshwater fishing gear that is this great sport. The rods, reels, lures, baits and boats; the preparation for a trip and sharing it with good friends, how we do love it all! We go to bed the night before a trip eagerly anticipating the coming morning. We've prepared and organized our gear. We've carefully selected our lures, put new line on our reels, assembled our rigs, and checked our maps. Next morning we arrive on the water. Who of us does not find peace in the calm and stillness of the lake, pleasure in the coolness of the morning air and beauty in the sunrise? Any stress we may have in our lives slips away as we cast a topwater plug to a near bank. Then, WHAM, the water erupts and the fight is on. From calm serenity to heart thumping excitement in an instant! Now That's Fishing and Catching! 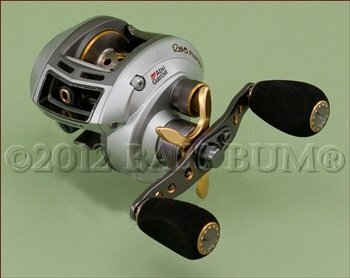 The inspiration for this site comes from my personal passion for bass fishing. For spending a day on a lake or drifting a river in search of bucketmouths and smalljaws. 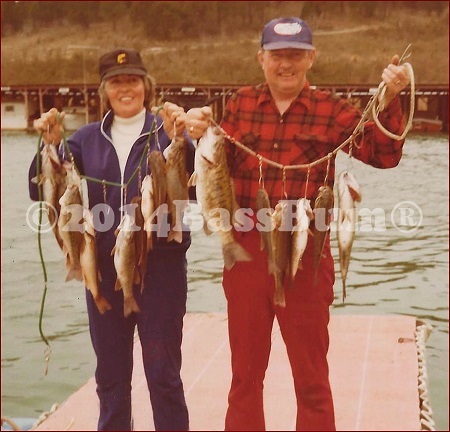 However, the foundation of its information comes from my parents, seen right, that loved nothing better than spending a day on the lake fishing for smallmouth bass, largemouth bass and for my mother, walleye too. Yes, I know what you're thinking. Look at that stringer. But this was before "Catch and Release" came about. This was taken in the early 1970's. I learned from my parents but also from four decades of experience chasing bass accumulated from my own and my long time friends and fishing buddies like the "Judge" at right. It is also the collective wisdom of years of researching and reading hundreds of articles, books and web sites. How We All Love It! It comes also from my personal fascination in experimenting with all types of freshwater fishing lures, reels, rods and accessory I could lay my hands on. The stuff of bassin. 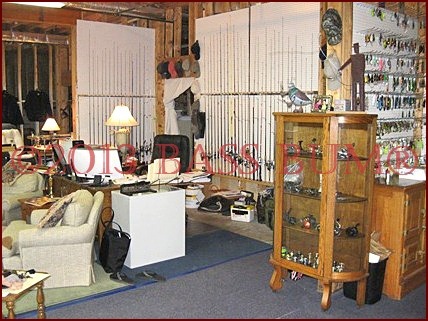 My long time fascination with the "stuff" of bass fishing has caused me to become, much to my wife's consternation, a collector of bass tackle and gear. I closely identify with the guy who said, "My greatest fear is that when I die my wife will discover that what I really paid for all my fishing gear is far greater than what I told her it cost." Is The Best Always The Best? 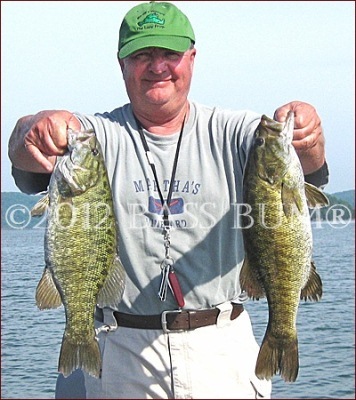 Throughout the last 50+ years all my experimenting has led me to draw conclusions about what were, in my and my fellow Bass Bum's® opinions, the best bass lures, best fishing gear, the most productive bass fishing techniques for different situations and even the best fishing times. Interestingly, these opinions changed regularly as, for example, new fishing reels or new fishing lures came to market. And, over the last decade, our opinions have changed quite often as the technology of bass fishing has rapidly evolved. Now, before we go further, I must tell you that those who may be interested, all you budding biologists and ichthyologist fishermen, will also find biological and technical information in this site. Hey, I gotta include that stuff too because it plays a part in being a successful bass angler. However, for all you guys that are Bass Bums® like me and my fishing buddies, you'll also find information and experiences about what we all love, "great fishing stuff" and how to catch bass! Read about bass fishing equipment like rods and reels, spinning versus casting, when to use which where and why some are better than others. 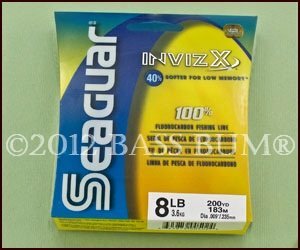 Learn about the many different fishing lines available, why there is no single, all-purpose best and find out how to tie fishing line knots for many techniques. So many different fishing rigs. The traditional Carolina rig, drop shot rig, wacky rig and Texas rig, are found here. The new Alabama Rig and its seemingly weekly transitions and adaptations are discussed here. Get familiar with how to put these and others together and learn tips and techniques for fishing them properly. 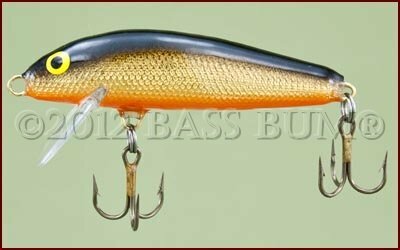 Bass fishing lures? They're here too, in abundance! 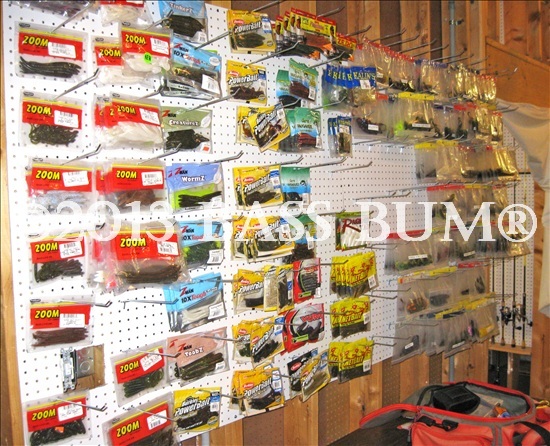 Crankbaits, plastic baits, topwaters, spinnerbaits, buzzbaits, jigs, swimbaits and even live bait. 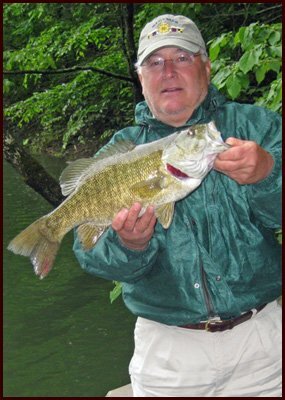 Ever tried fly fishing for smallmouth bass and bluegill? What about fly fishing for largemouth? If not you don't know what you're missing, it's a hoot! 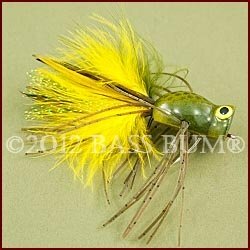 Become versed on fly fishing techniques for bass. What about fishing tactics? The when where and why of jig fishing, fishing swimbaits, using a beefed up drop shot rig in shallow water and how to present the newest rage, the famous or infamous Alabama Rig. They're here. 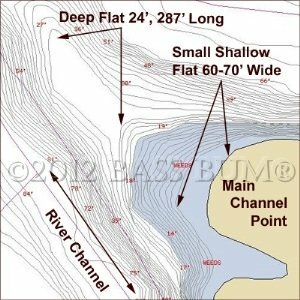 Bass fishing techniques are discussed for fishing structure, ledges, grass, humps and rocky point fishing. How to find bass? You can't catch them if you can't find them. You will find out about seasonal movements, feeding habits, spawning and where they just like to hang out. 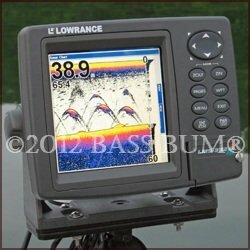 Learn about tools such as depth finders, GPS, maps and underwater cameras and how they can help in finding bass. Lure making? Not much better than catching a hawg on a lure you made yourself. You'll see how to make lead head spinnerbaits and jigs, plastic fishing baits; bass swimbaits and where to find fishing lure parts. 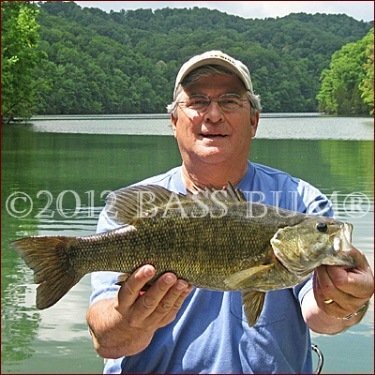 This site is a gathering place for all who find joy in fishing for and catching smallmouth and largemouth bass as well as their smaller cousins, the bluegill and crappie, all members of the sunfish family. We welcome and encourage you to share your tips, techniques, stories and experiences. Learn and share in return. So climb in the boat....let's have some fun bass fishing and catching! Oh, by the way, this site is continually expanded with new and additional information. It will also include information you, visitors to this site, offer to share. So check back often.